It's another lovely sunny Saturday evening on the Fylde coast and daylight will probably prevail until after ten tonight. Once darkness arrives, the electric lights will start to go on.... but it was not always thus. At one time, candlelight would have been the standard method of keeping the darkness at bay and candles would have been as important a staple of everyday living as meat and bread, hence the prominence of the maker of candles in the popular rhyme about "the butcher, the baker, the candlestick maker" (wherein the candlestick was the candle itself, not the holder). Nowadays candles are used primarily for 'atmosphere' (romantic, scented, relaxing) and are only pressed into force en masse when there is a power-cut. Pam and Adele have waxed eloquent about the modern-day use of candles in earlier blogs this week, so I'm going to focus on their use in one specific device - the lighthouse - because it links quite neatly with a poem I wrote a couple of years ago as part of the Walking On Wyre project. 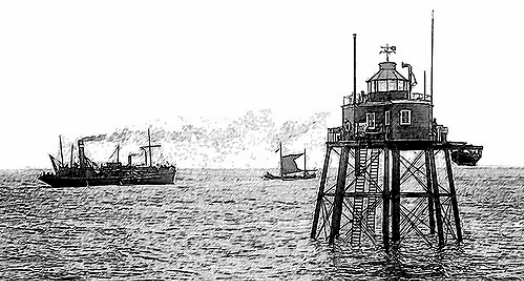 The poem, which you'll find below, is primarily about Fleetwood's lighthouses. Fleetwood, for those who are not familiar with the geography of north-west England, is a port on the Lancashire coast north of Blackpool. It is situated on the estuary of the river Wyre where it flows into the Irish Sea. For generations it was one of the principal fishing ports in the country and it was unusual in having not one but three lighthouses of differing heights which, when aligned, guided boats safely into Fleetwood port. Lighthouses obviously require light! In the earliest versions (and the Pharos lighthouse of Alexandria, circa 200 BC is the earliest documented), the light would be a wood fire burning in an open space (probably within a brazier). With the invention of glass came the means to enclose the space and protect the flame from wind. In medieval times candles were used in lighthouses instead of open fires, but it required a quantity of them - usually arrayed in a candelabrum - to generate sufficient light. The original Eddystone lighthouse (1698) was powered by sixty one-pound candles...and they had to be changed every three hours! There are accounts of lighthouse keepers resorting to eating their candles when they were cut off by bad weather and food supplies had run out. Fortunately for them the candles were often rich in beeswax and whale tallow! in two thousand and eight. plans to rebuild so far proved in vain. As well as enjoying the poem, the bonus for me was that it was so interesting and informative. Thanks Steve. Another fascinating blog and a lovely poem. An interesting blog and a great poem. I'll make a point of visiting Fleetwood next time I'm in the north-west. Thank you. I've only just read in today's Blackpool Gazette: "Fleetwood's ruined lighthouse, the Wyre Light, has partially collapsed... a corroded leg is believed to have given way over the last 24 hours. 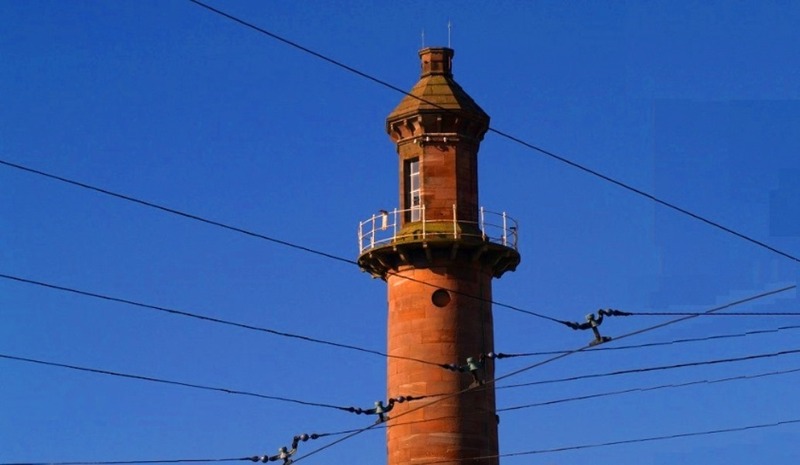 Fleetwood Civic Society had been planning a funding bid to carry out urgent repairs - but failed after the lighthouse's owner could not be found." A fascinating blog. I can't get the image of lighthouse-men eating candles out of my mind! Love the poem, especially the rhythm of the third verse.